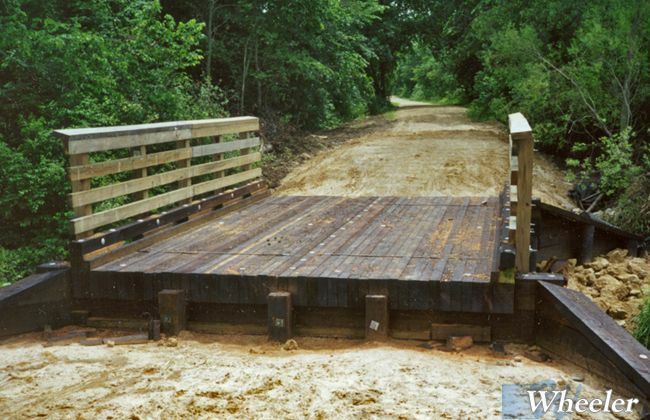 To accommodate heavier vehicles more efficiently or to build small spans in fewer pieces, Wheeler relies on the proven timber Panel-Lam. 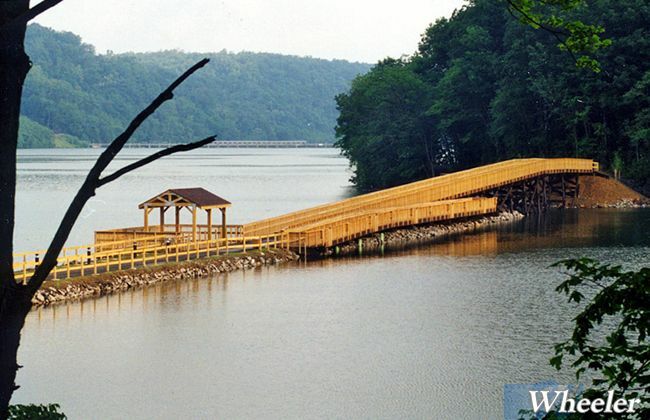 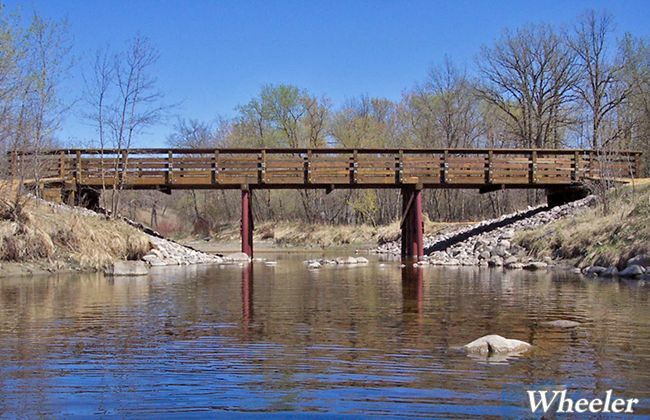 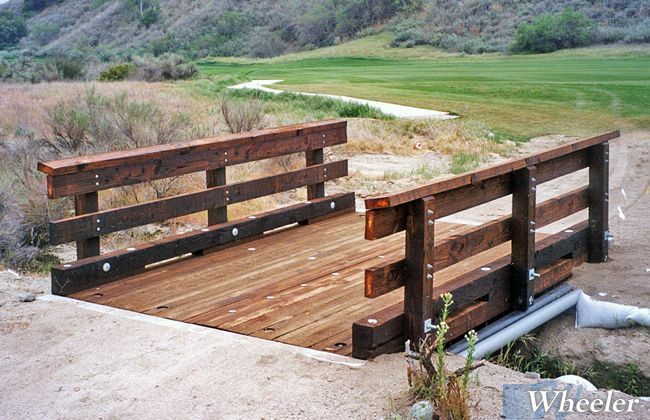 Technology long used for highway bridges provides the platform for many recreation applications. 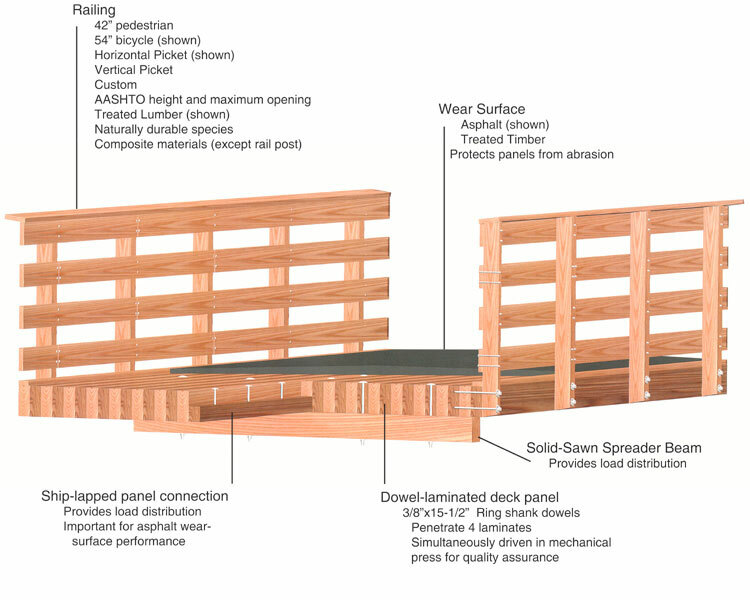 The thin panel design maximizes headroom and reduces approach work. 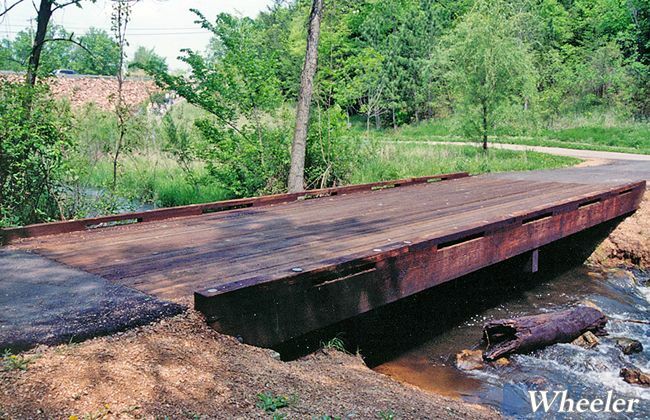 When used in flood prone areas the solid slab panels are very durable if over topped or washed out by flood waters. 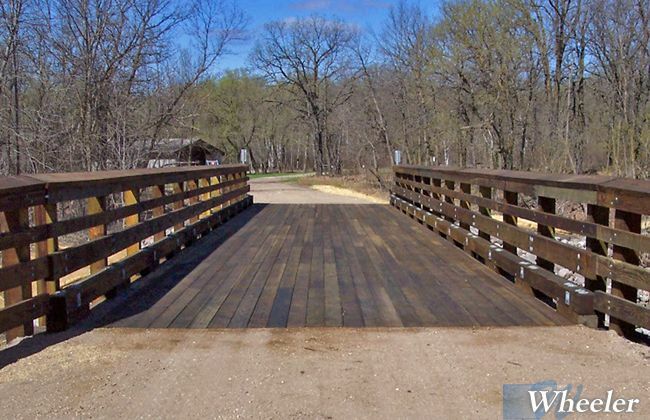 For trails paved with asphalt, the Panel-Lam can include an asphalt wear surface. The interconnected panels provide a stable deck and minimize cracking. 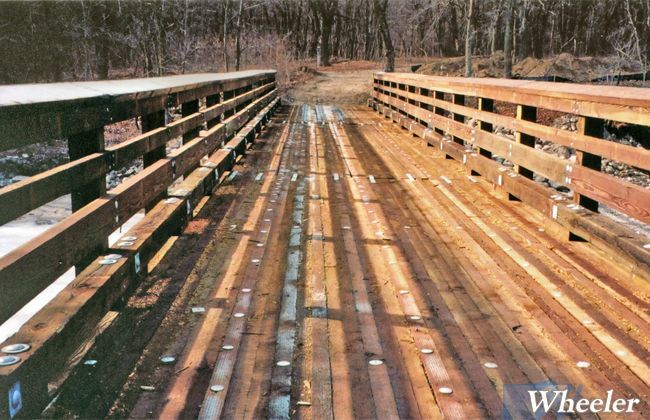 The trail becomes a seamless surface ideal for rollerblades and other sensitive users. 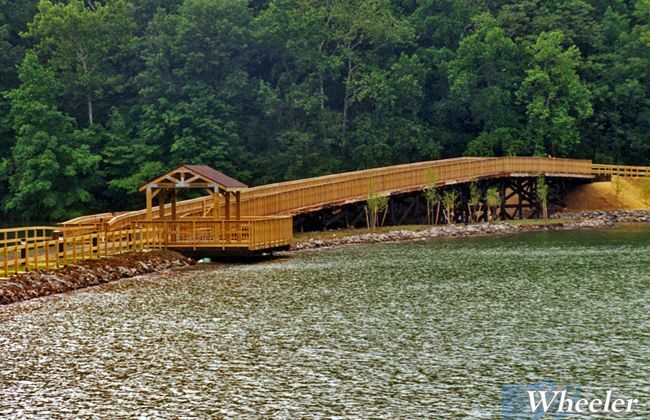 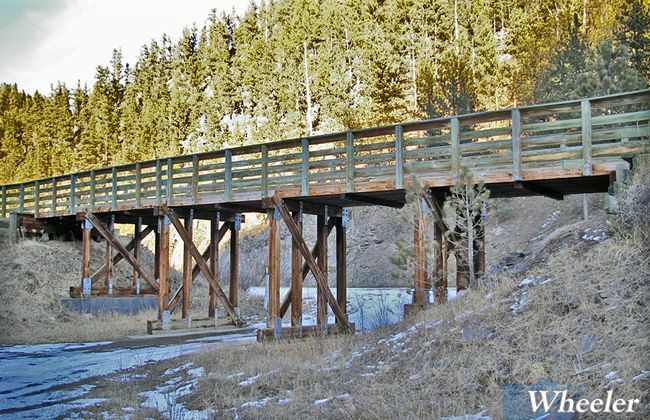 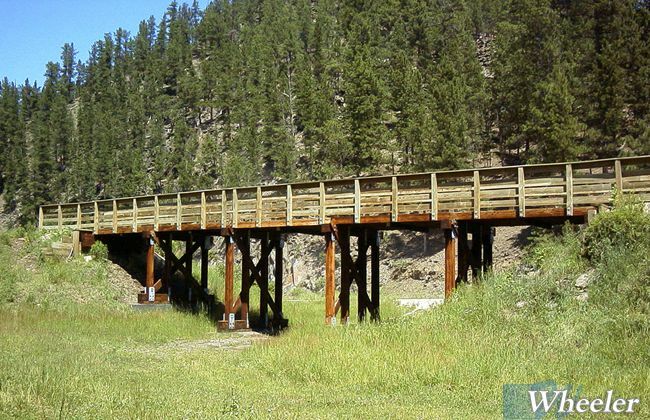 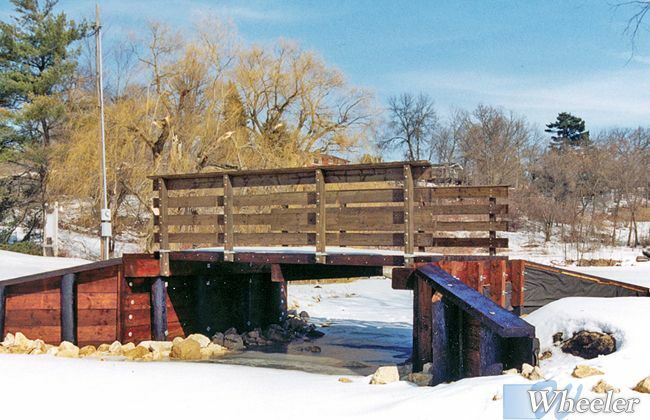 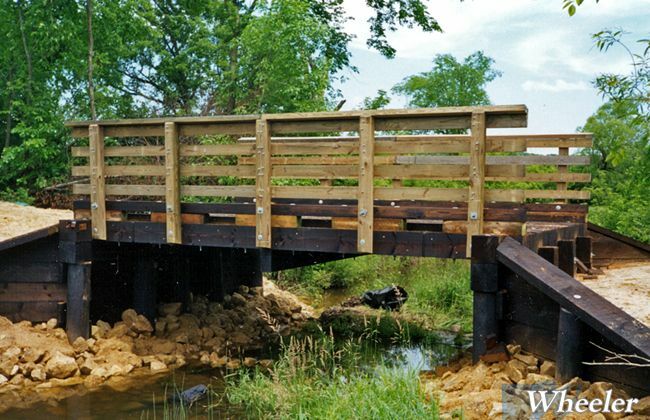 Like other Wheeler timber bridges, the Panel-Lam is a shop manufactured kit with components detailed specific for the project. 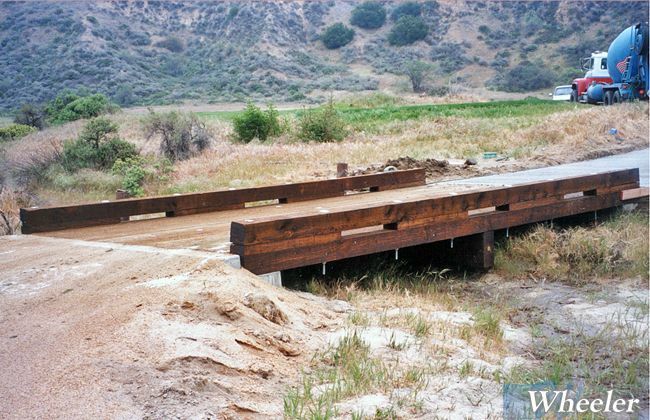 All pieces are clearly marked for rapid construction on any foundation. 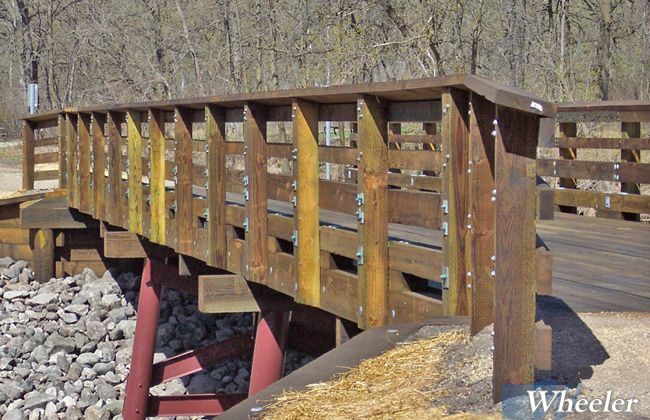 Many railings options are available. 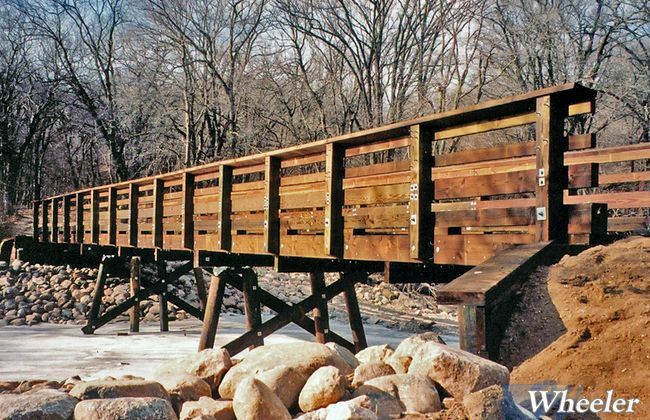 Typical designs are in accordance with AASHTO standards for height, opening size and loading.